Traditional confirmation is a time of instruction in the Christian faith. It is a process where the good news of what God has done in your baptism is taught. Our Father's Engage and Confirm program is an expansion of this time traditionally set aside for Christian education. We invite students starting in 5th and sixth grade to "engage" their faith. 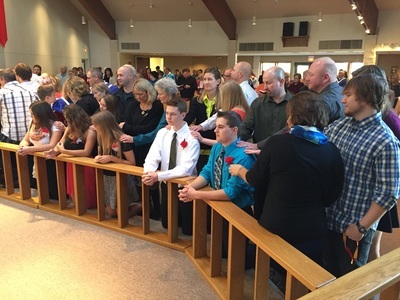 We also welcome students into journey to "confirm" their faith, starting in 7th grade concluding with the Affirmation of Baptism in the fall of 10th grade. 5-10th graders and anyone looking to engage in deeper faith. Program runs from September - May . 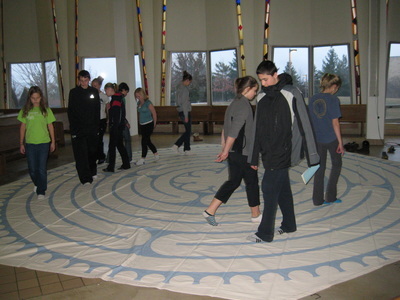 Praying the Labyrinth on retreat.